This comprehensive training offers a unique blend of knowledge from a number of Tantra and wisdom traditions. It has a flexible structure- join at any time, complete in any order, take all 3 modules to be certified. Taught in three one-week modules this comprehensive training includes training materials, 9 conferences calls and accommodations. The course is limited to 16 people, insuring individual attention. Between modules, you will be required to teach and implement the information covered. This training is taught in a beautiful retreat center in the heart of the red rocks of Sedona that offers lovely amenities including a watsu pool, steam room and swimming pool. 7. 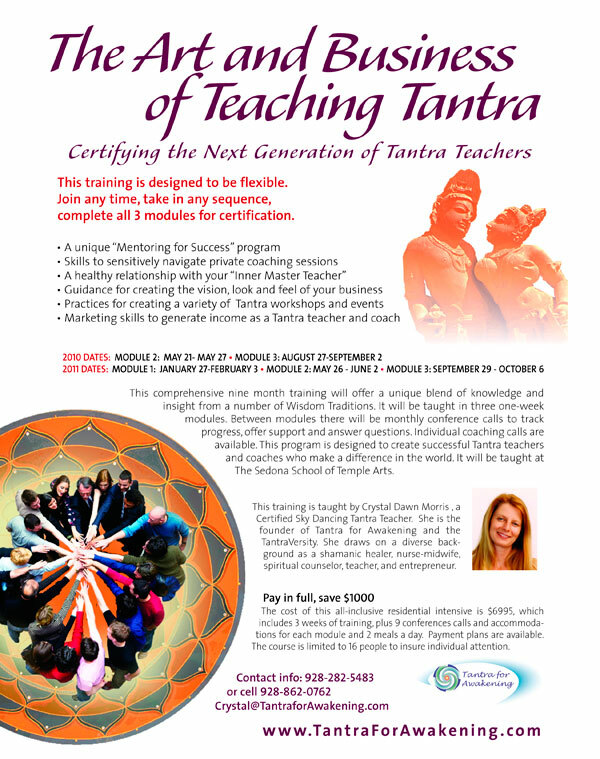 Have a vision of how you will successfully teach Tantra in your community. Cost $5995.00 Payment plans are available. Each module begins by attending a different Awakening the Ecstatic Body weekend workshop. This gives you an opportunity to experience the work as a student, observe the group process, and practice the exercises in a workshop context. Following the weekend, we will spend time examining the content, dynamics and flow of the workshop. Informed by this knowledge, you will practice teaching what we have learned within a supportive environment and will give feedback to other students. Each day, time will be spent on the Art, Business and Inner Work of teaching Tantra, planting the seeds for creating success as professional Tantra teachers. • Do a self assessment using a Life Wheel. • Begin to define your niche and create your brand. • Create your WordPress blog or continue to build your online presence. • Building your email list and growing your Tantra community. • Learn how to facilitate a coaching session. • Begin writing Tantra articles online. 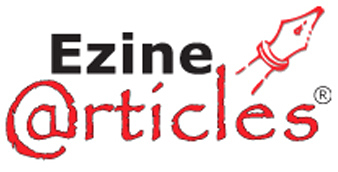 • Expand your WordPress blog into a website. • Creating products to market your classes and create income. • Ethics and professional boundaries will also be explored.